A royal wedding is a traditional affair, but an iPad still made an appearance at the nuptials for the Duke and Dutchess of Sussex. It would be going too far to say that Prince Harry and Meghan Markle wouldn’t be married today if it weren’t for an iPad. But one of Apple’s tablets did have an important role to play in the royal wedding. 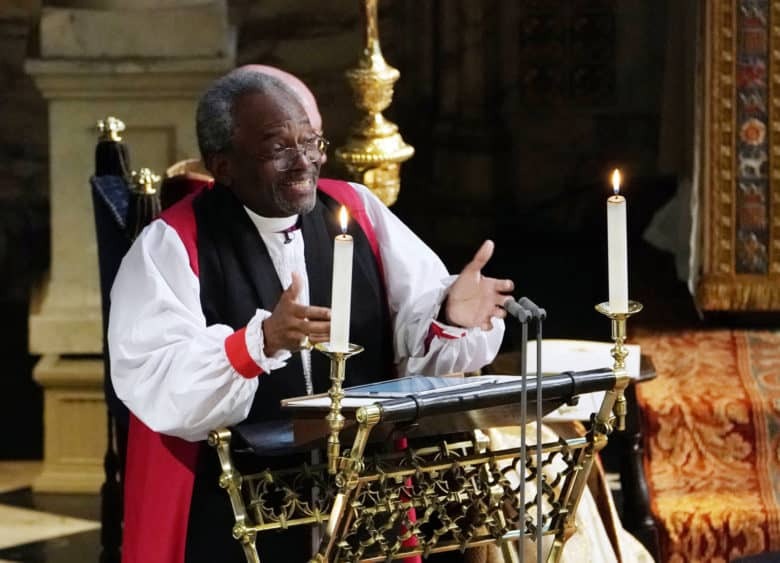 Bishop Michael Curry delivered a sermon halfway through the ceremony. The good prelate read from notes displayed on his trusty iPad during his address. He was clearly using an app that scrolled through the text for him, as he didn’t have to keep swiping. There are several such in the App Store, such as PromptSmart Pro which uses voice recognition to automatically match the text being displayed to what the user is saying. Others, like Teleprompter, allow the user to set a speed at which the text scrolls by. People around the world were watching the royal wedding, and there were even a few comments about “the Holy iPad” on Twitter. The tablet used during the royal wedding shouldn’t be exposed to holy water without a proper case. The Most Reverend Curry is 65 years old. He’s the first African-American to serve as presiding bishop of the Episcopal Church. Curry’s sermon made such a huge impression, he made a “guest appearance” on Saturday Night Live.